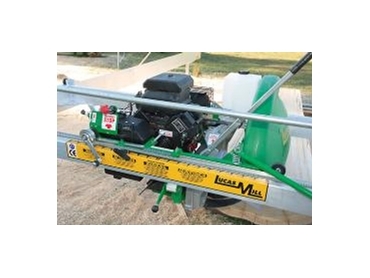 The circular swing-blade portable sawmill has been Lucas Mill's flagship product for over 13 years. These machines are designed to suit the harvesting of both hard and soft timber species, and can be operated on any terrain. The versatility of these sawmills provides operators with the ability to cut both small and large boards to specific dimensions, whilst minimising wastage. The Model 8-30 sawmill is currently the largest model in the Lucas Mill range. This machine hosts a powerful 30 H/P Kohler V-twin electric start motor. The Side Shift Winder and Standard Track Extensions are included as standard with this model. Since the introduction of an 8” cut machine in 1996, this has been the most popular machine sold by Lucas Mill the world over, constituting at least 75% of sales every year.